This interview took place on: 2/26/14. Jesus freak Hideout (Jen Rose): So when I was getting stuff together last night, I realized that… we did this five years ago, Jason! JFH (Jen): Yeah, I interviewed you like five years ago for JFH and that's how I met you! It was the first interview I'd ever done actually. JFH (Jen): So in five years, a lot has happened for you for sure. The main thing that stood out for me with this record was that you mentioned to me before that it was kind of hard to get it made. Jason: Yeah, I was just in a very difficult season in my life personally, which made me feel like I had a very diminished capacity to do what was being asked of me. I think I was supposed to release it a year ago actually. That's what was scheduled, and then I pushed that back six months… pushed it back another six months… I just had a hard time trying to write these songs. The tricks that I've used in the past have been like when I sit down to work on a song, I ask myself, "What are you most afraid of talking about right now?" And that would help me discover what was really at the heart of the conversation I was having with the Holy Spirit about my life. And so, okay, let's do a song about that then, you know, to help me get to the real stuff. And this year, I'm not ready to talk about that kind of stuff right now. I don't think I can do that right now. So then I had to write kind of around my circumstances rather than through them. Does that make sense at all? JFH (Jen): Yeah, absolutely. Like there's sometimes really deep things you can't share with people yet, right? Jason: Yeah, like I remember, when [Walt] Wangerin spoke at Redeemer [Church in Nashville] for a gathering in August, he talked about the importance of waiting until a chapter was closed until you spoke about it. And if you speak while the chapter is still open, it makes people feel like you're asking them for something, that you're requiring something from them. Either support, or understanding, or help, or… you know what I mean. JFH (Jen): I know exactly what you mean right now. Jason: Yeah! Okay, so whenever I write, that's just kind of the way I write stuff. So it felt like 90% of the resources I would normally draw from I didn't have access to. And I also didn't want it to be a whole album about difficult things you're going through. I didn't want it to be a downer, so I wrote a bunch of upbeat kind of songs, and then it started to feel like the songs were feeling disconnected from my life, my heart, my voice, the things that I care about. So, this is a weird way to kind of figure it out. And then you may notice that on each of my records, there's a song that I just write completely by myself without any kind of pressure about the marketer or anything like that. JFH (Jen): Well, the very first time I listened to it, that was actually the first word I thought. Like you get past "Laugh Out Loud," and then the radio single, "With Every Act of Love," and then I thought this album is really melancholy. But I didn't think of it as a downer. I felt like the songs came from a sincere place and it wasn't like, "Oh let's make a melancholy album that's anti-Christian pop!" Jason: Right. Yeah, I tried to not do that. I remember Cason Cooley telling me that the first song on a record will color the way he experiences the rest of the record, which is why I thought, I gotta put "Laugh Out Loud" at the top. And then "With Every Act of Love," and make the album artwork brighter and kind of light... do everything I can to help people experience it as a hopeful record. JFH (Jen): And I think maybe, too, when you're in it, maybe you feel like it's more depressing than it is? Jason: You may be right. JFH (Jen): In actuality, it is a really hopeful record. I noticed that in a lot of songs… "Not Right Now," by the way, is probably one of my favorite songs right now. It's easy to kind of toss out the platitude to people... that you know they don't want you to fix their problems and just want you to be there. But I feel like you really captured what that looks like. So I'm curious… I wanna be self-indulgent and ask about my favorite song! Was that particular song early in the writing process? Was it one that was hard to get out? Jason: It was one of the last ones. Maybe like the third to the last song. But that one was written with Josh Wilson. And we wrote kind of an up song that we were working on, and we ran out of time to finish both of them, so between both of us, we decided which one was priority, and the song came like a gift, you know. I'm nervous about [how] there are a couple of songs with no conclusion at the end. Things aren't wrapped up. And I know a lot of people come to music, come to concerts, hoping to get some kind of order made out of the chaos. "Please remind me that everything sad is coming untrue. Please remind me that God is in control and nothing is wasted." And I didn't do that on a couple of the songs. I just kind of let them be Good Friday without any hint of Easter. So that's one of them. Which I think is important too, because we're terrible at grieving. We're so aversive to pain that we fail to recognize what it can accomplish in our lives, and we're in a hurry to move on past it, and we don't really feel our feelings, feel the depth of our feelings. If we don't do that, then we don't really heal properly. So a couple of the songs I just wanted to be in that moment. JFH (Jen): Do you have a particular favorite? Anything that makes you go, hey I'm kind of proud of that one! Jason: You know, I have three of them. I definitely feel like that one… that's kind of the standout song on the record. And then for me the other one is "I Don't Know How." I love that as a song. I feel really proud of it. I love the track. I think it's the coolest track on the record. JFH (Jen): It sounds really great! Jason: It's really cool. I have a friend that's a music snob and he texted me and said, "I want you to know 'I Don't Know How' sounds as cool as anything else I have in my iTunes library." (Jen: Wow. *laugh*) And he listens to the coolest music, so I feel like that was a real compliment. But I love it as a song too. I don't think a lot of people are gonna like that one. I don't think it's emotionally satisfying. Like even "Not Right Now" feels empowering to a person when you hear it. It's like, okay, I'm in pain, but this song helps empower me to tell people to shut up and leave me alone and just let me grieve, you know. "I Don't Know How" is not empowering at all. It's the opposite of that. And man… we love to feel empowered. But I think it's important too. There's a wisdom that comes only at the end of our answers, and a help that comes only after we embrace the depths of our helplessness, and a knowledge that only comes after we say "I don't know." The way we tend to work - at least I do - is try to understand things in a way that I feel like I have a sense of control, and that gives me a sense of peace. So we come to conclusions in an attempt to understand and have control over something. Like, say I come to a conclusion about you, about who you are and all that kind of stuff. Well then, I'll only ever see the evidence of that conclusion in my interaction of you. JFH (Jen): Yeah, like when you already have your perception colored, you'll filter everything through that. JFH (Jen): I could relate to it for sure. But I do think maybe to hear a song like that… it's nice to have somebody identify with that helpless feeling? So in that sense, maybe there are people who will. I think the people who need them are going to get it. Jason: I think this album is going to be a grower. I'm not confident that when people hear it the first time they're going to love it. I think it takes a couple a listens. JFH (Jen): And that's fine. Jason: And the other song that's my favorite, if you can believe it, is "Laugh Out Loud." JFH (Jen): "Laugh Out Loud!" I admit… I wasn't sure what to think of that at first, like it didn't seem to go with the rest of the album. But then after repeated listens, I get it. What is it about that song that you like? Jason: I think it's a more interesting version of "Good to Be Alive." I just like how it's almost corny… maybe it is corny, I don't know. But it's kind of a risky idea for a guy like me to write. I love how it's unabashedly hopeful and joyful. It's easy for me to write kinda moody, melancholy songs, so that felt like a real accomplishment to me, a real joy for me to write, and I like how it turned out, too, and how it sounds. JFH (Jen): And it is actually a wonderful counterpoint to the moodiness, because it puts the perspective back where it belongs. JFH (Jen): True.. the last song is God coming to you and taking the shame, and then it's the comedy of the gospel. That's really cool. Jason: I may be the only person who plays it that way, but in a perfect world, I wish people could experience it that way. So yeah. So those are my three favorites. JFH (Jen): I am a big fan of "Even This Will Be Made Beautiful," too. It's a cool song! Jason: Thank you! Yeah, it turned out cool, didn't it? Jason: Yeah, I know. And it takes a while to get big. Like it's a patient little journey. JFH (Jen): It gets to, "SCATTER THE ASHES ON THE WIND" and I'm like "YEAH!" Jason: *laugh* Yeah, thanks. You never know… you labor looking for some kind of cool lyric idea and then that one just came when we were working on it. I just threw that out there and [Nichole Nordeman] goes "Oh man, I really, really like that. I like that a lot." And I'm like "Oh... really? Okay." Six months later, you realize, "oh yeah, that's kind of a cool line about that song," but you don't notice it in the moment. JFH (Jen): So, I think you guys pulled it off having two producers, Jason Ingram and Cason Cooley. What was it like working with two completely different producers? Jason: It was stressful and great at the same time. I was stressed about cohesiveness. 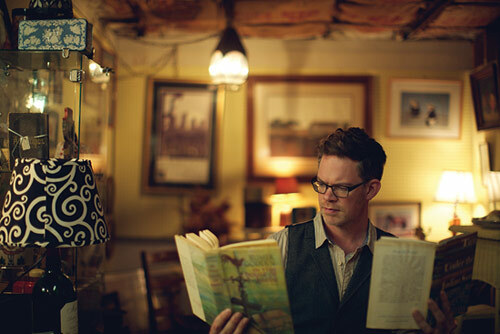 Jason Ingram, his work style… he's kind of a machine. He can just crank it out, y'know. I'm there for tracking and vocals, and then he gets it done. Which is great at this time in my life. Cason very much wants me involved in every little detail, and his process is a lot slower, a lot more demanding, a lot more inviting for the artist to be involved in it, which I love. That's ideally what I love, to have those personal, emotional resources to give to it. But I knew that he would care over certain songs in a really special way. A great example is "If You Want to Love Someone," that I thought was just gonna be acoustic guitar and cello. The way the budget works is there's supposed to be like one stripped down acoustic song that we don't spend a lot of money on. And I thought that was gonna be it. And he was like, "No it needs to have a groove." *laugh* He took that and made it like really epic and majestic. So he cared over that in a way that even I wouldn't have, even though I thought it was one of the best songs on the record. So that was great. And it was great that Ingram was doing the other half where there weren't a lot of demands on me. And he produces with a lot of space in the mix, and Cason produces with a lot of… there's a density to his mixes. There's a lot going on. I think it was good to kind of go back and forth between that. Where I hear that in a great way is "Not Right Now." It's kind of this haunting soup of sound and textures, and it gets done and then "Love Will Have the Final Word" is kind of simple, really sparse and open feeling. And I love how those two songs sound together. JFH (Jen): I have to ask you about books because... it's our thing, man. What are you reading right now? I'll tell you a book I did read in the fall that was eye-opening and convicting and wonderful and I couldn't put it down. It was a book by M. Scott Peck called People of the Lie. Holy crap, that was a great book. It's a book about how he believes that the root of evil is narcissism. And we're all narcissistic, but it turns malignant when it overtakes a personality and leads us being so self-absorbed that we can't feel empathy for others. And also, our egos are so fragile that we can't allow ourselves to know our own sin, our own imperfection, and so we blame everybody around us for what's going on in our own soul. And that is the root of evil. It informs a story that we begin to tell ourselves that allows us to do terrible things to people. That was a powerful book… very convicting, very - like when you watch The Matrix for the first time, it allows you to change the way you experience the world. It's a glitch in the Matrix, you know - it was like that. Like "oh, I see now a little clearer how the world works." I devoured People of the Lie. I couldn't put it down. It was so gripping to me. And then I read like 2 or 3 of his other books right after that. So I'm intrigued by his mind, his way of seeing the world. JFH (Jen): So I guess to wrap up… five years since we did the last interview, and a lot of things have changed for you. What have you learned most out of this journey through your art and even the hard times you've been going through? What's something you feel is really meaningful that God has taught you? Jason: Hmm… you know… I don't know how much of it is directly related to what has or hasn't happened in my career. I think probably these things I might have learned anywhere I was working because they're more about me and my journey. But I have a mentor in my life. His name is George and ohhhhh, he's just such a remarkable man. His knowledge of humanity and Scripture, and he's the most authentic, most wise, most demanding, most gracious person I've ever met. And when I asked him, I said "I wanna be you when I grow up. How did you become you?" And he said "Pain." I think I've come to understand the gift and value of pain in the past few years and how I just don't think there's any other way to become who we most want to be, who we dream of being. We want to be wise, we want to be compassionate, we want to love well. We don't want to be selfish. I just think the only way to get there is through pain. I've come to terms with that, and genuinely being grateful for it. Not wanting to be grateful, but discovering that I'm grateful for it. Gratitude will just kind of rise up in me. Even as I was reading People of the Lie, recognizing seasons in my past where I was more narcissistic than I am now, I hope. And seeing how the Lord spared me from becoming the worst version of myself through pain. JFH (Jen): That's a good lesson. We treat pain like it's this bad thing we have to avoid. There's something about when you fully embrace what you're feeling and go, this is a process that God is using. Jason: Yeah, like I wonder where this will lead me. Most everybody I know, the best people I know, are the ones who have suffered and have known how to suffer well and have been given the grace to suffer well. I mean, all the authors I love… that's the common denominator. Well, I suppose all of humanity, all of us. 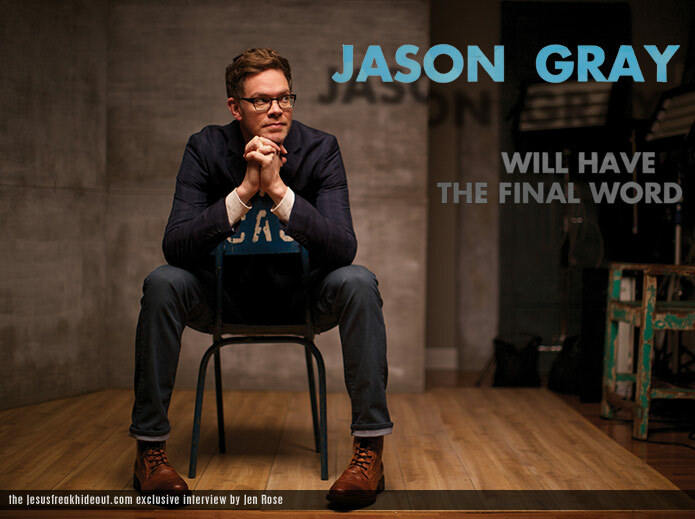 Jason Gray's latest album, Love Will Have The Final Word is available now wherever music is sold!